So, I didn't think I'd be doing a recap, but then I thought my new friends and readers might like one! It was so fun going back in my posts and seeing how far this blog has come....2 name changes (oh geez!!!! LOL), 136 posts, biggest Full Body Photo Project Join Campaign ever and thousands of new friends! From 12,000 views in January to 114,000 in December!!!!!!!!!!!!! I swear, I'm living a dream and it's because of you, thank you. So....let the recap begin! 2011 is the year I really started to focus on my blog...I did some stuff in 2010, but consider Jan 2011 it's birth date :). January I started the year with a flashback post, 10 posts total and around 12,000 page views for the month. My little man was barely 2 years old and I really needed out of the house and had accepted a position of Marketing Director for the Pollin Hotel Group, which a dream come true. I'd never been recruited before?!! 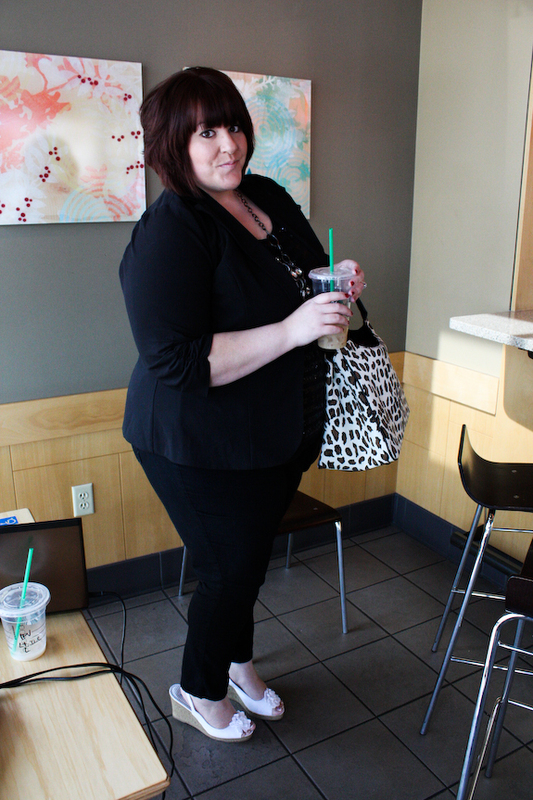 February marked a new tone in my blog, from talking just fashion to talking body love as well. I posted 7 posts and my post "Fat Girl You are Beautiful" helped my readers connect to my message of LOVE YOUR BODY, readership jumped to 24,000 page views for the month. 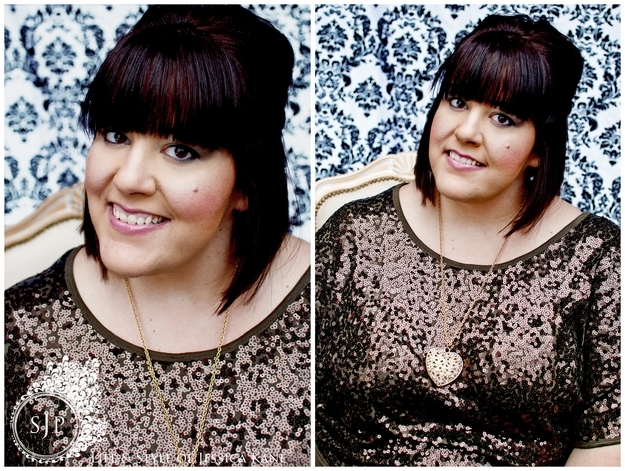 POST: "Fat Girl You are Beautiful"
March was a fun month! I turned 31 years old, my job at Pollin Hotels was so much fun as I got to produce my dream events and really get "me" back. I swear, after having Kyle bug, it was so hard to get my mojo back! 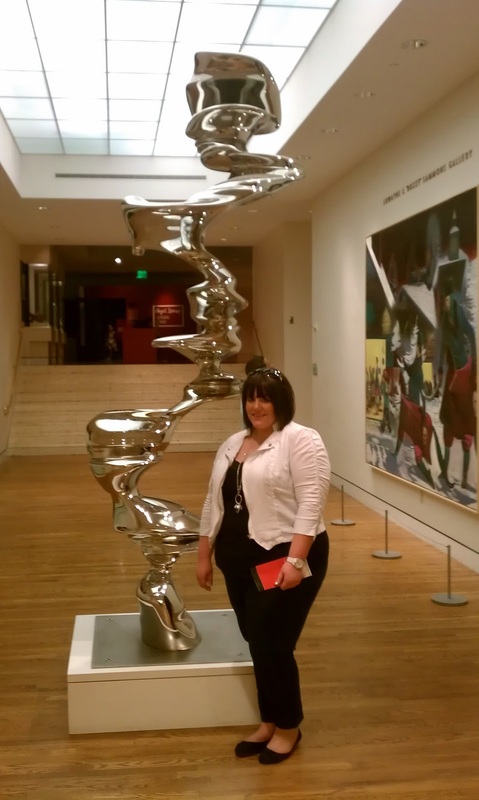 POST: "31 is the new 21"
April brought a busy month! I was in full swing planning my new show, Weddings of the World - the NW's only Multicultural Wedding Show. 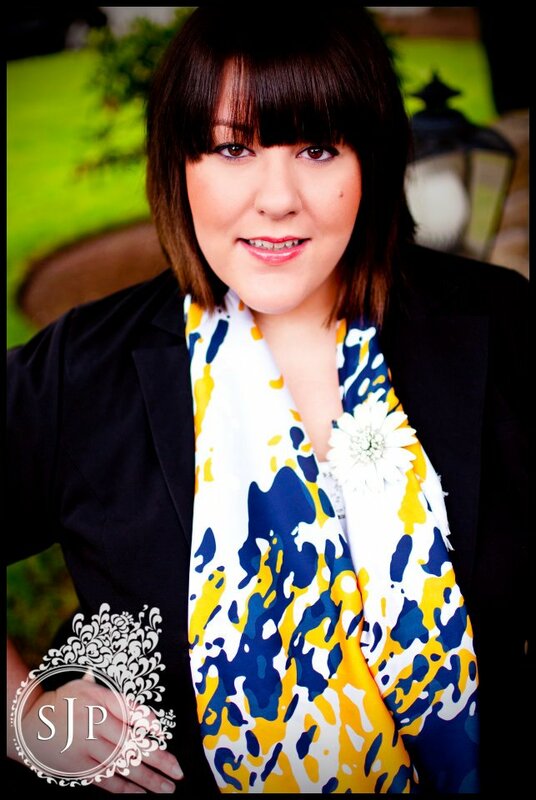 Plus, I was working full time on my new endeavor, Jessica Kane Branding and Marketing Agency. I was signing on new clients and working like crazy for Pollin Hotels! May was a HUGE month both for work and my blog! The wedding show was May 15th and was a huge success with over 900 people showing including 42 vendors, 3 ballrooms, 25,000 square feet of wedding showcases, a fashion show and so much more. But, I also gave my resignation and went full time on my own (again!). I focused on new branding/marketing clients and reviving my plan for Skorch Magazine and my blog. I was still trying to figure out my path....a top agency? or top publisher? I had no idea...but kept at it! I then came up with the idea to create a plus style network, the Skorch Network, and I started building. Then, I posted about something that was always on my mind - women not showing their arms! It was almost summer and I thought I'd help get us to show our arms! Before you knew it, everyone was reposting and tweeting and even Lane Bryant featured the post on their facebook page to a half million ladies!! That post really opened my blog up to new readers and jumped my blog to 35,000 page views that month. 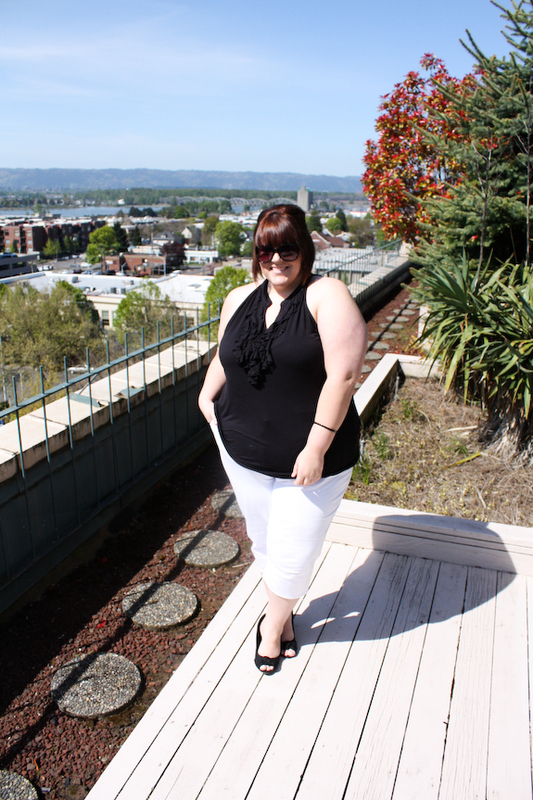 POST: "Show Your Beautiful Arms Project"
June I continued my message of love your body and wear what you want with the popular post Big Girls CAN Wear Tube Tops and enjoyed wearing my favorite white pants! POST: "Big Girls CAN Wear Tube Tops"
POST: "Take THAT Size 24 Jegging"
POST: "The Support Your Boobies Project"
August marked a month of focus on my path in life. I finally knew what I wanted to do with my blog, Skorch and all my businesses...it was a time of focus as I transitioned from part time blogger to full time blogger and taking that success to the Skorch Network as well. Skorch Mag re-launched (for the 4th time? LOL - such is life) with a new focus - BLOGGERS! And, was an instant hit, so awesome. And, my blog had lots of popular posts including my favorite clearance find ever (below), then the Launch for NuWay Beauty featuring the hottest dress I've ever worn! Then posted my first ever youtube Q&A video about maternity and bras and partied with the Queens at my favorite LGBT Bar - Embers. POST: "Best Clearance Find EVER!" 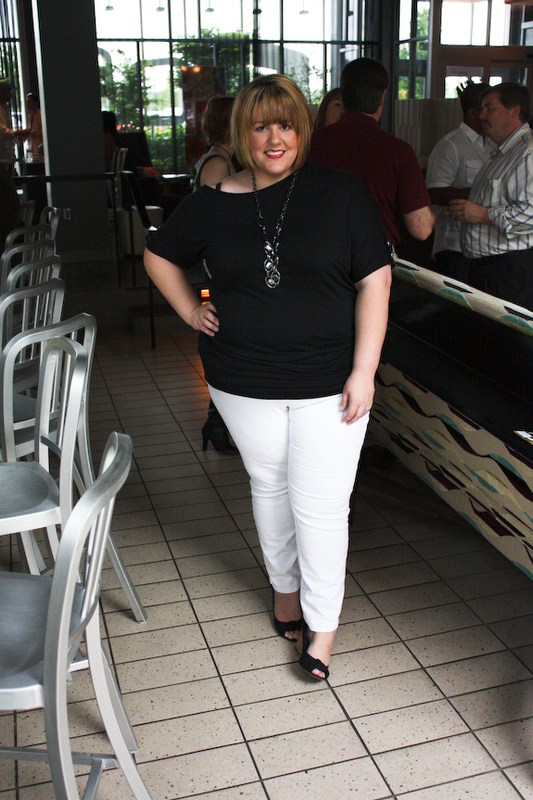 POST: "Torrid Denim gets an A+"
September My son turned 3 years old on the 3rd (meaning I survived somehow!) and the Full Body Photo Project came back HUGE for the 2nd Annual Join & Win Promotion. Over 30 plus retailers joined, offering prizes topping $2500 and over 1,100 entries! And, the plus publishers of the world supported me as media sponsors, in a small community, that meant everything to me. So huge and was truly one of my favorite moments of 2011. 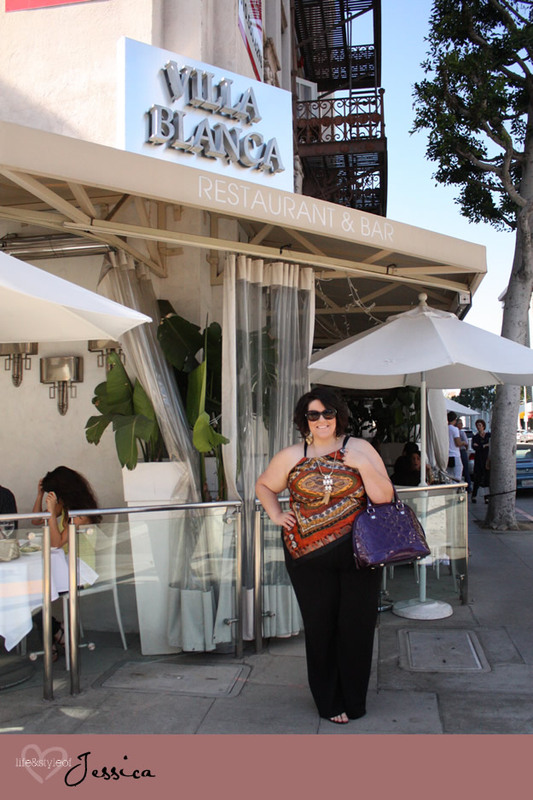 POST: "Shopping Adventure and My Puffy Vest Find"
October was the month I drew the winners of the Full Body Photo Project and went to LA for the Love Your Body Day event. SOOOOOOO much fun, huge huge! There's nothing better than getting to see all your cyber-friends in real life! LOL I've known these ladies for over 6 years now! I can't EVEN express how honored I felt to be included in this picture, these women are MAJOR and women I look up and have nothing but respect. POST: "Love Your Body Day Journal Part 1"
— with Marie Leggette, Tulin Reid,Jessica Svoboda, Chenese Lewis, Natalie Ferraro, Jessica Kane,REVOLUTION OF REAL WOMEN™ and Brianne 'Brie' Widaman. POST: "Love Your Body Day Part 3"
I was also interviewed on Plus Talk Radio and attended the Oregon Basic Rights Ignite Fundraising event wearing my favorite Avenue Damask Dress. And, October was the month I started partnering up with local photographer Stacy J Photography to hopefully take my blog posts to a fun new level! And, I think it worked, my page views had been steadily climbing and peaking at 65,000 for the month! My most popular post for December was this outfit, which also was my most popular youtube seg! POST: "Plus Size OOTD \\ Purple & Tangerine"
And, my second most viewed post for December, absolutely thanks to Torrid who posted this on their facebook wall and was a featured look on POSE - huge honor since this is a primarily skinny girl fashion app :) Big girls are coming baby! LOL! POST: "OOTD \\ Holiday Party"
And, then the game changer...my most viewed post of all time. It wasn't about shoes or tops or jewels....it was about my true story. This was one I sat on for quite a while, because I wanted to be sure I told my story the right way. I had a feeling this post would be a good one, thought a lot of women would be able to really get to know the me and connect, but never did I dream over 10,400 ladies would!!!! Humbling and inspiring all in one. I can't even put in words. And, even more crazy was my blog received over 114,000 page views for December. What a holiday present, thank YOU so much!!!!!!!!!!!!!!!!! 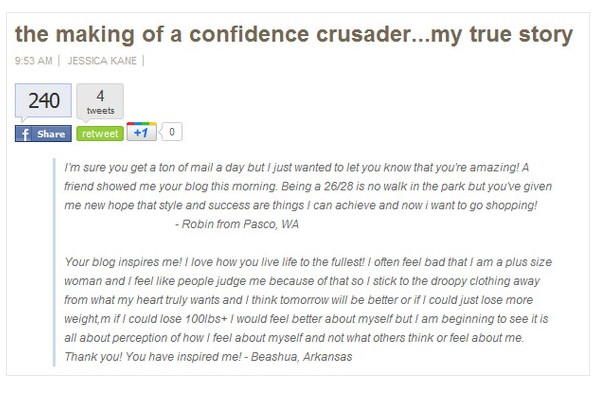 POST: "The Making of a Confidence Crusader - My True Story"
Thank you for making 2011 such an amazing year! I tell my hubby all the time, I feel "in the zone"...so completely connected to what I know I'm supposed to do. It's terrifying sometimes, but once I tell my brain to shush, my heart knows I'm on the right path. I have plans how I want to see 2012 end, and it better not be with another planet smashing into us!!! LOL Um no, unacceptable! I have a lot of BIG BIG HUGEEEE things planned and already in the works and can not wait to share. I will continue to bring you blog posts, more videos, more giveaways and hopefully more of what you love. Plus, I'll be working on my book with my friend Mandy Allen, it's not the typical style book....but something a little different. Something that would make a GREAT stocking stuffer *hint hint* LOLS!! thank you for making MY life a dream. From 12,000 to 114,000....I can NOT wait to see what we can do this year! !